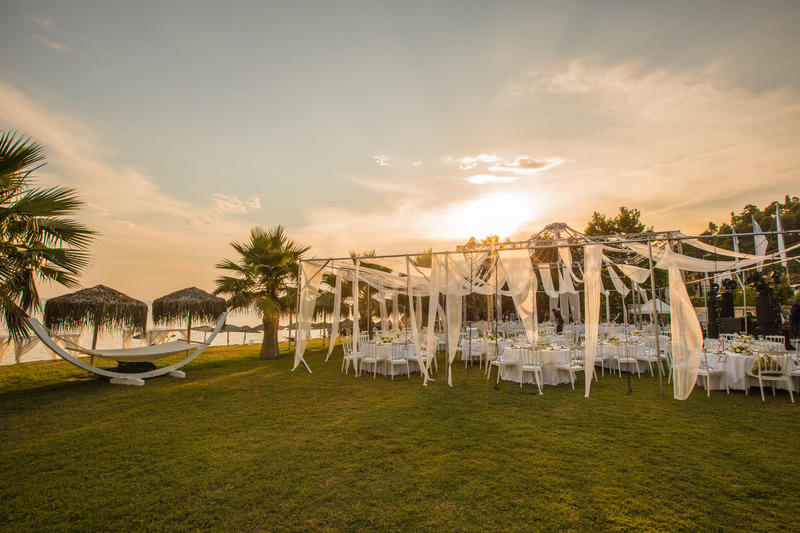 Live your dream wedding at Nefeli Estates, one of the most beautiful & popular wedding venues in Halkidiki, one of the most famous wedding destinations thanks to its natural beauty, cosmopolitan character and unique nightlife. Whether you prefer a small romantic or a large luxurious wedding reception, your wedding at Nefeli Estate will be remembered for its beauty and elegance. Our experience is significant, as we have hosted and coordinated numerous Greek & international weddings, providing always the proper consultation and coordination. The experienced staff of Nefeli Estate will accompany you from the very beginning, in order to provide you with impeccable coordination services, innovative ideas, elegant decorative ideas, great music choices and delicious food. We will be more than willing to offer you all the information you might need, in order to exceed your expectations. 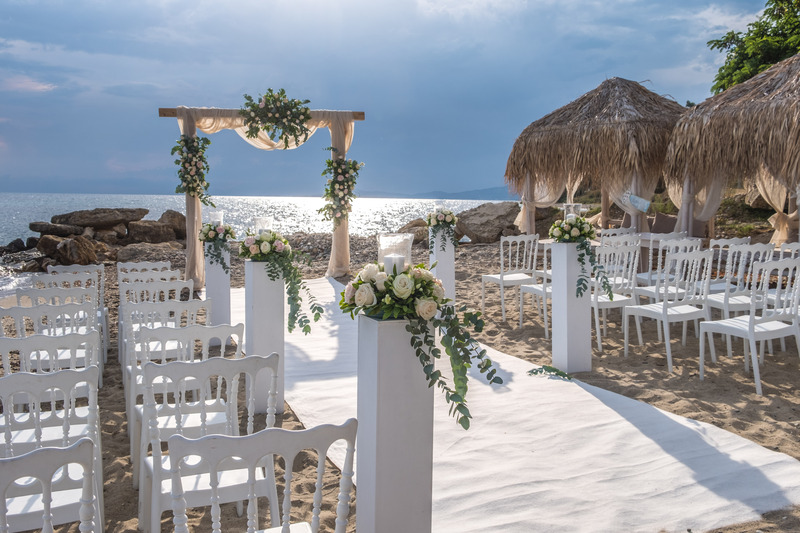 The wedding ceremony can take place on the beach, at the pool, or at the picturesque chapel of Panagia Faneromeni, which is located right next to the Estate. If your wedding takes place between May - September, you may even choose the beach, enjoying a dreamy ceremony. Every wedding has a story… Let us create yours at Nefeli Estate! Luxury wedding right next to our pool with majestic sea view or dreamy sunset full of sky-blue colors. The pool area offers an intimate ceremony with the feeling of outdoors. 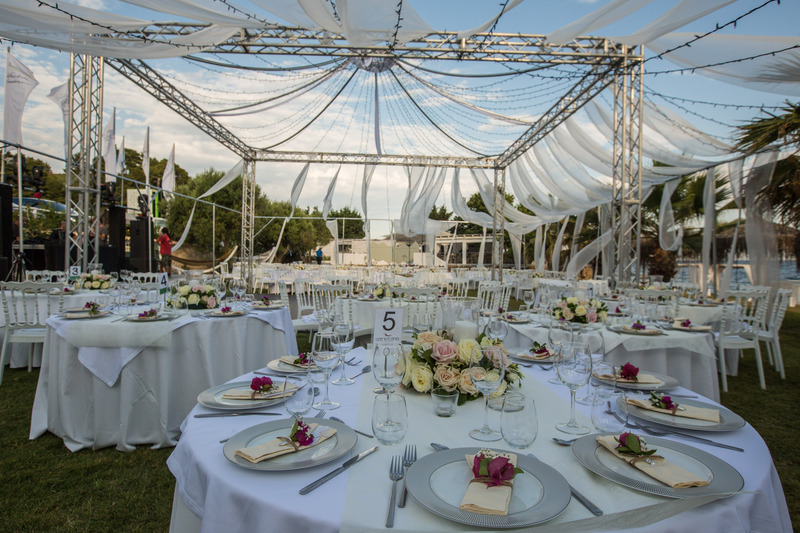 Nefeli Estate, situated right on the beach, is ideal for wedding receptions and for all kinds of social events, Nefeli Estate is able to host up to 500 seated guests at a green, well maintained area of 900 m2. Furthermore, the atmospheric chapel of Panagia Faneromeni, located right next to the Estate, allows you to hold magnificent social events such as wedding ceremony, wedding reception, pre-wedding party, engagement party or dinner, baptism, vows renewal, party or bachelors. Choose among the special beverage options and enjoy the five-star facilities of Nefeli Estate!